Top your everyday wear with a classic men's T-shirt. 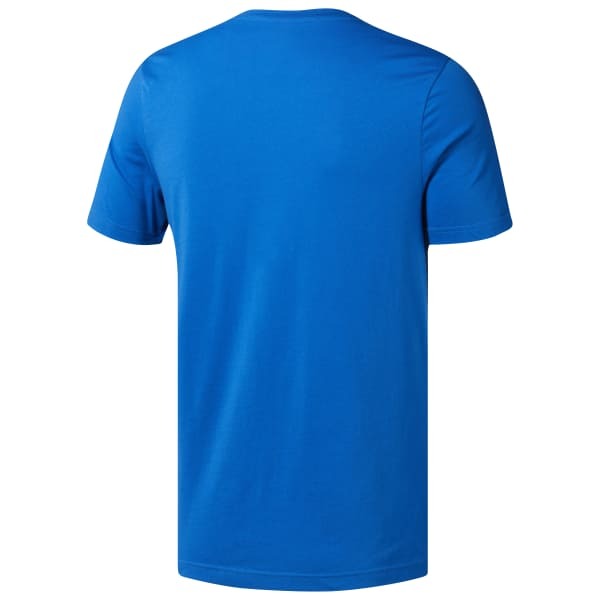 The soft cotton is naturally breathable. 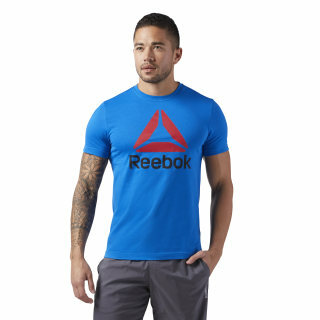 A stacked Reebok graphic adds appeal in and out of the gym.